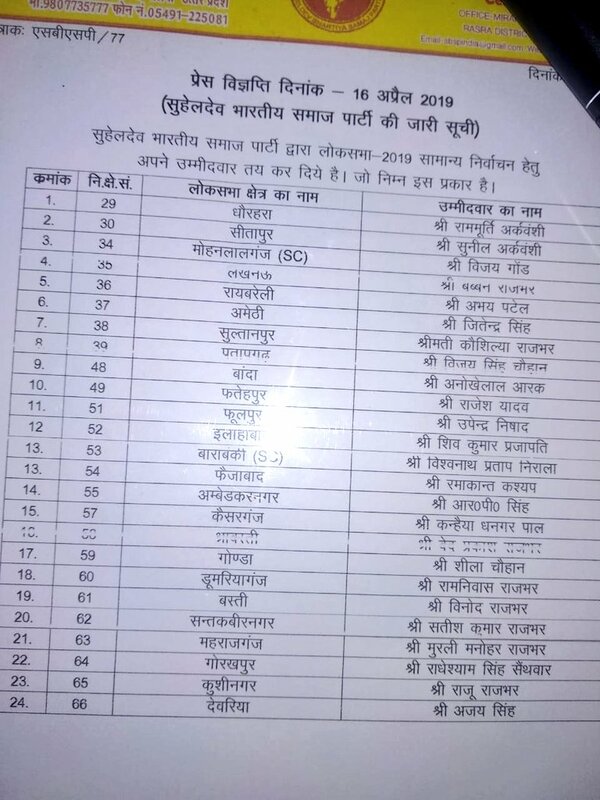 In a huge blow to the ruling Bharatiya Janata Party, Suheldev Bharatiya Samaj Party (SBSP) their ally partners in Uttar Pradesh, have decided to go alone in the ongoing Lok Sabha elections. The party announced a list of 24 candidates on Tuesday. The SBSP had won four seats in the 2017 Uttar Pradesh Assembly polls. For the 2019 Lok Sabha polls, the BJP had proposed to field an SBSP candidate on its symbol, which was disapproved by Rajbhar. He insisted to use his party symbol even if the SBSP got just one seat to contest.